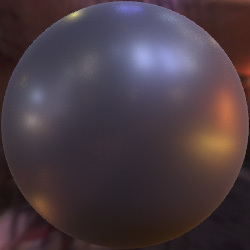 On Optimal, Minimal BRDF Sampling for Reflectance Acquisition . Nielsen, J. 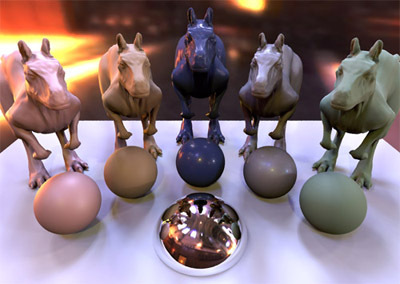 B.; Jensen, H. W.; Ramamoorthi R.
This website contains supplementary code and data for the paper On Optimal, Minimal BRDF Sampling for Reflectance Acquisition to appear in Siggraph Asia 2015 Technical Papers. Code covers python scripts for reconstructing BRDFs and determining optimum sampling directions, and the data includes our results for optimum sampling directions, precomputed principal components for your own reconstructions, and a small collection of reconstructed BRDFs in the MERL format. You are welcome to freely use any of the code and data provided on this website, but we kindly ask that you cite our paper. Please see citation. merlFunctions.py: Tools for reading the MERL BRDF files into python. coordinateFunctions.py: Various tools for converting coordinates (e.g. Rusinkiewicz to/from MERL, spherical coords, or direction vectors). optimizationFunctions.py: Functions for doing gradient descent optimization on condition number. reconstructionFunctions.py: Tools for reconstructing BRDFs. In addition, example code is available for learning data statistics, optimizing sampling directions, and reconstructing data. The contents of these examples are shown below. In this example we simply load the MERL database, map it using our proposed "Log-Relative" mapping, and perform PCA. For performance, we precompute a mask map and a cosine map, used in other examples. The MERL BRDF database can be downloaded here. Sphere sampling: A spherical, isotropic, sample is illuminated by a point light source placed in one direction, and observed by a camera from a second direction. As described in the paper, we observed that reconstruction error stabilized at approximately 20 samples for point sampling and 5 samples for spherical sampling. For point sampling, lists of up to 50 sampling directions are provided, and for spherical sampling, lists of up to 20 sampling directions are provided. We here supply precomputed data for users who are not interrested in acquiring the MERL database and performning principal component analysis etc. themselves. MaskMap: Refined list of valid indices where MERL BRDF values are valid. CosineMap: Cosine weights corresponding to the valid MERL BRDF values. ScaledEigenvectors: Principal Components of valid parts of mapped MERL BRDFs (i.e. the matrix Q). Median: Median of valid parts of MERL BRDFs (this is the reference BRDF for mapping, rho_ref). RelativeOffset: The mean of the mapped MERL BRDFs (used to zero-center data before PCA, mu_hat). The following files are reconstructed BRDFs. The reconstructions are stored in the MERL BRDF format (.binary, see MERL Database). White bindercover. Reconstructed from 20 samples. Glossy dark-blue book. Reconstructed from 20 samples. Diffuse green cloth with some retroreflectivity. 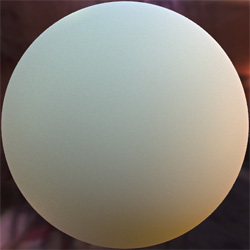 Reconstructed from 20 samples. Red-brown notebook with a very soft highlight. Reconstructed from 20 samples. A piece of diffuse yellow paper. Reconstructed from 20 samples. A piece of diffuse cardboard. Reconstructed from 20 samples. A piece of high gloss red paper. Reconstructed from 20 samples. A piece of painted black metal. Reconstructed from 20 samples. This work was funded in part by NSF grants 1451828, 1451830 and the UC San Diego Center for Visual Computing. We thank Chiwei Tseng for acquiring some of the materials.